Hi everyone! How’s your month going? I’ve promised myself to try and do December Memories album this year and document our December, so far so good (I’ll be sharing about that later)! 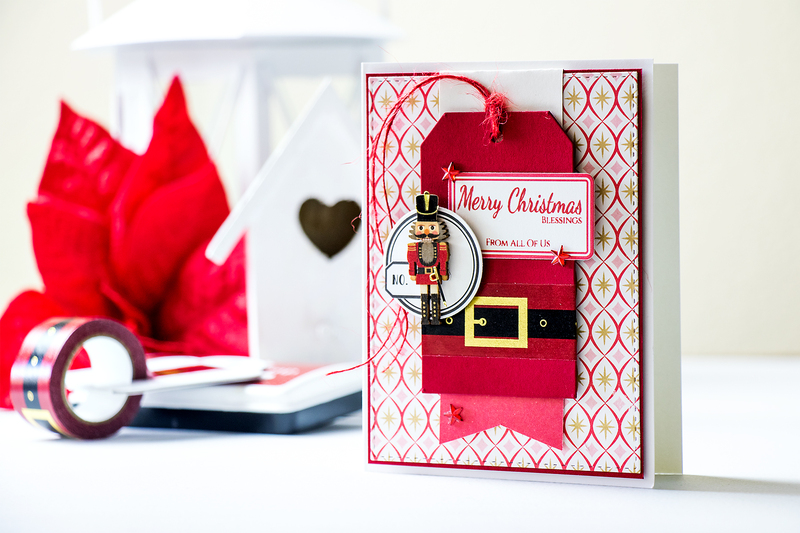 But today I’d like to share something else – a holiday card I made using Simon’s Limited Edition Holiday Card Kit. 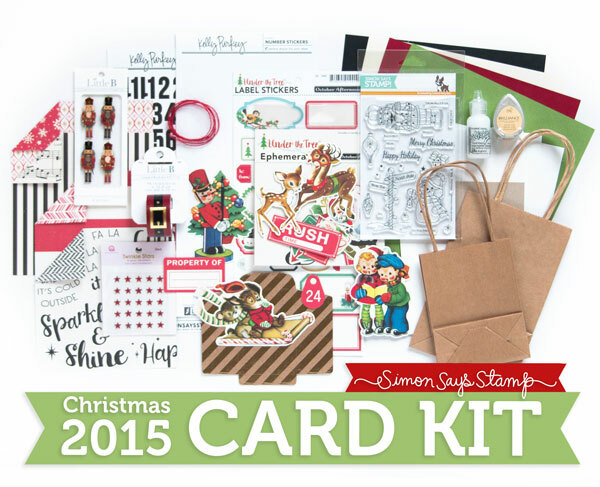 It is truly perfect for Holiday Cards, better yet for traditional holiday cards. 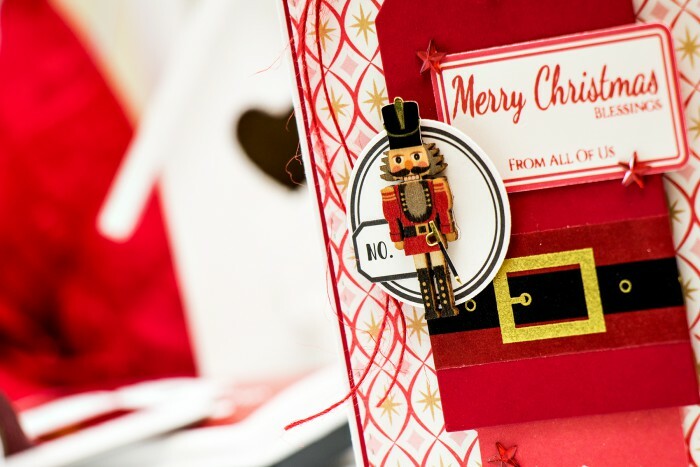 I started working on this card by die cutting a panel out of patterned paper from my kit using my all time favorite Simon’s Stitched Rectangle die and matted it using red cardstock from my kit. Next I added a little banner-like piece. I die cut a tag out of red cardstock, added Santa’s Belly Washi Tape, added a sticker with a stamped sentiment (I used Lipstick Red ink) and another sticker with a Nutcracker on top. Finally added red floss and foam mounted my tag on top of my panels. Added a few red star-gems and adhered that on to a side folding card base. What an interesting kit! Belt washi? Get out! Your card is amazing. So festive!